Calendars are a part and parcel of our lives when used both digitally and physically. We can mark the dates of events manually in a calendar or set a reminder for any important meeting or event in our phones digitally. 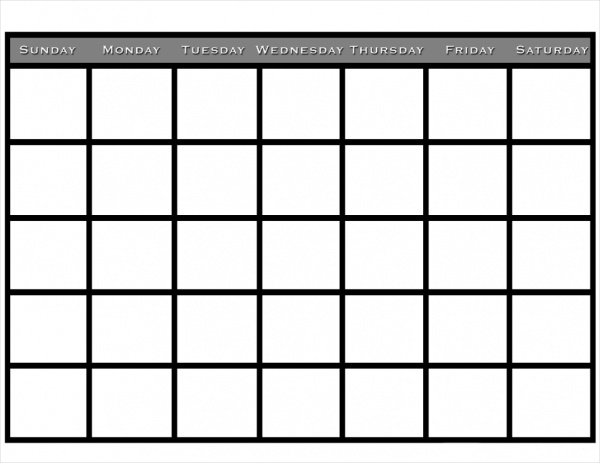 This article has a list of Free Calendar templates that can be used in different occasions. 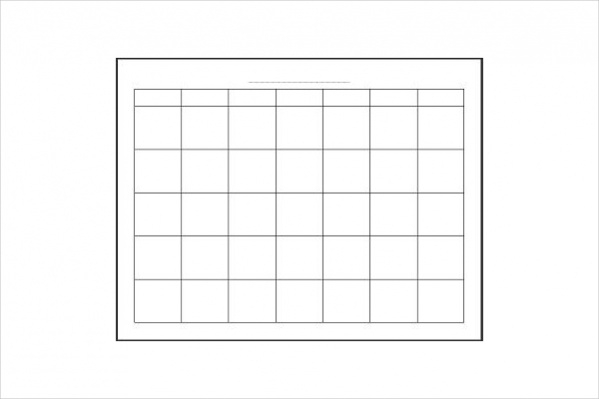 These templates are available in blank formats to help the user customize the templates. These templates can be used by all age groups. 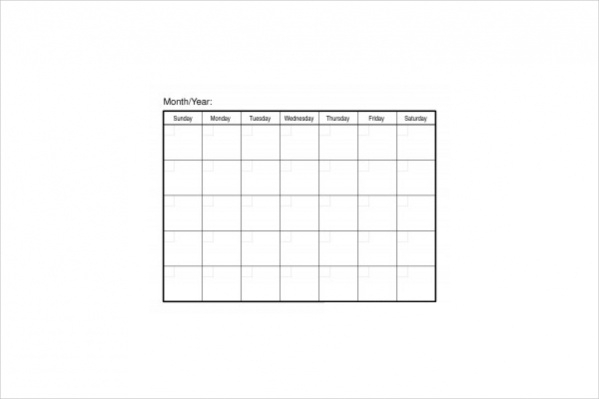 The template of the blank monthly calendar can be downloaded as a word document and also as a pdf. 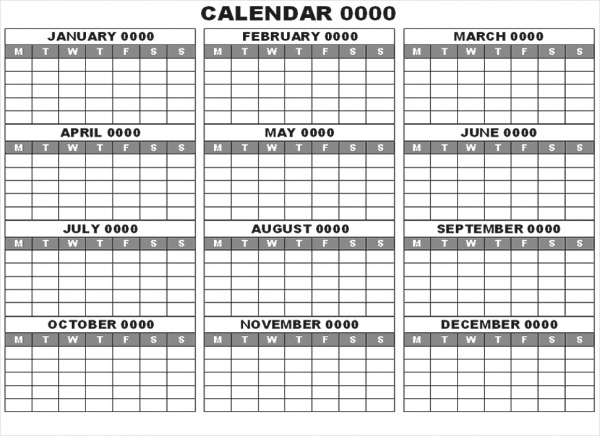 This is useful for office going people to maintain a schedule of deadlines.You may also see Wall Calendars. This blank weekly calendar has a list of all days for a particular month in a year. 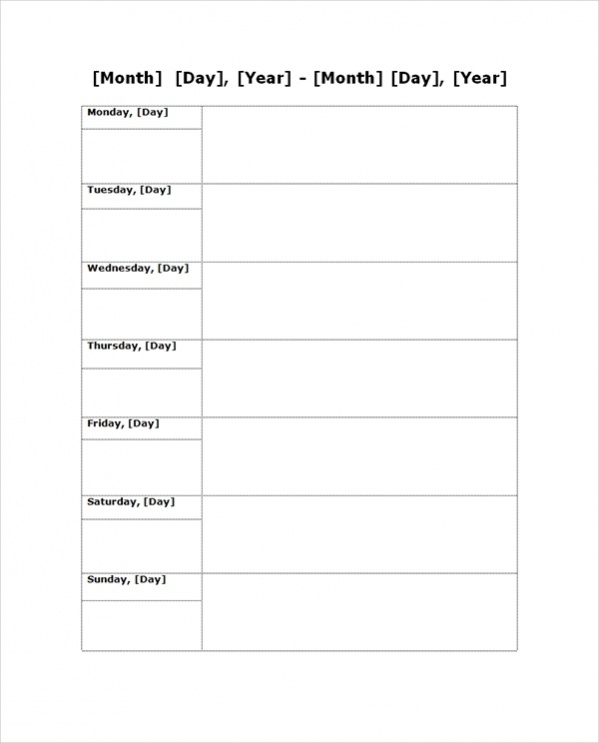 This template is useful for businessmen who need to plan every day of their month.You may also see Free Monthly Calendars. This blank calendar does not have days and weeks printed in the calendar. It just has empty spaces for all the slots of the days. It can be downloaded as a word document or pdf. 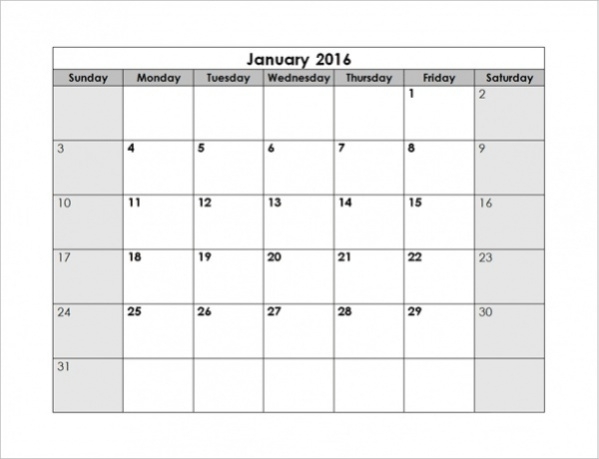 This blank calendar template does not have the names of months, weeks or even years. It just has the empty slots for all the days of the year in every month. This calendar template has a unique background on it with enchanting shades of color. It can be downloaded in any form including word, pdf or image and printed accordingly. 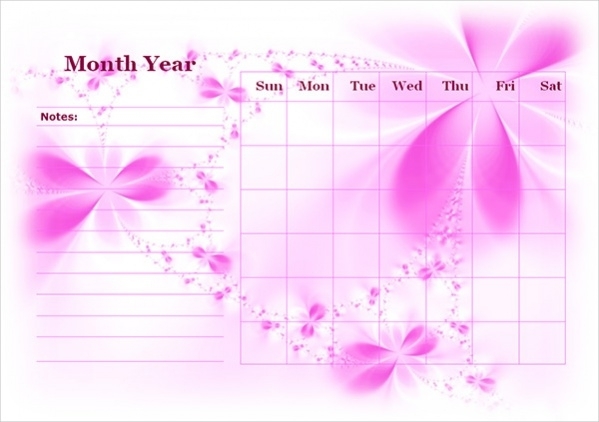 As the name suggests this template is a blank chore calendar with the colors dark pink and light pink. There is also a subtle hint of purple on the page. This calendar is specially designed for those people who absolutely love to work out and keep themselves fit. They can plan their whole month with the workouts of their preference. 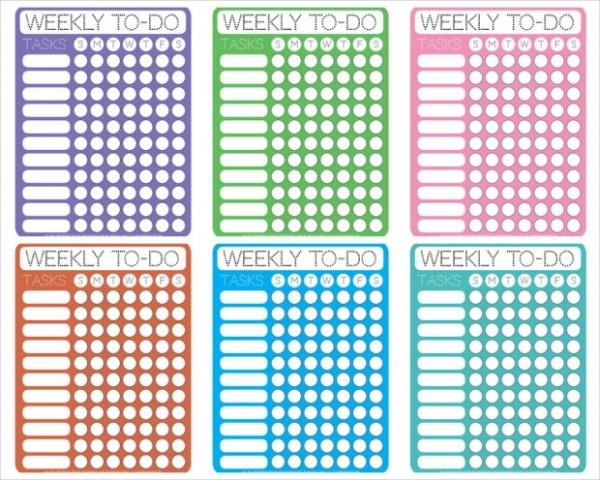 This template has a dotty design which can be used to check off the to-do tasks daily. They are available in many colors like green, purple, blue, pink and orange. 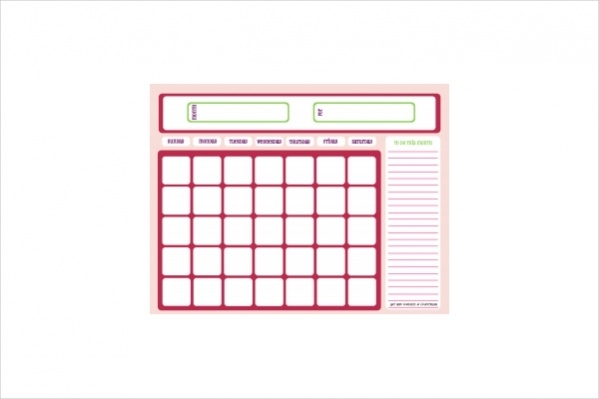 This calendar template is used to schedule the appointments of a month. The date, time and name of the person we are going to meet can be noted down. Blank calendars are perfectly suitable for children to make them more organized. Elementary kids can learn about the months and days. 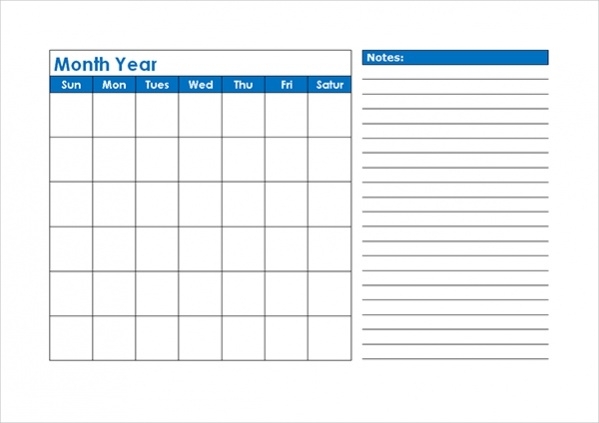 Older students can keep track of exams and holidays. 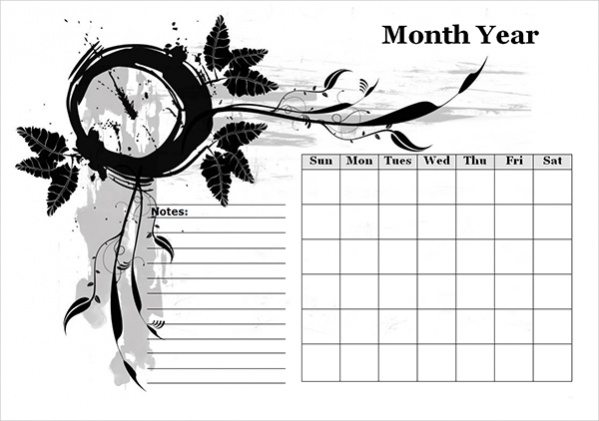 This calendar template can be downloaded in pdf format and used accordingly. These templates can be very useful for setting up reminders for events and teaching students to learn time management. This template has a unique monochrome design on it. 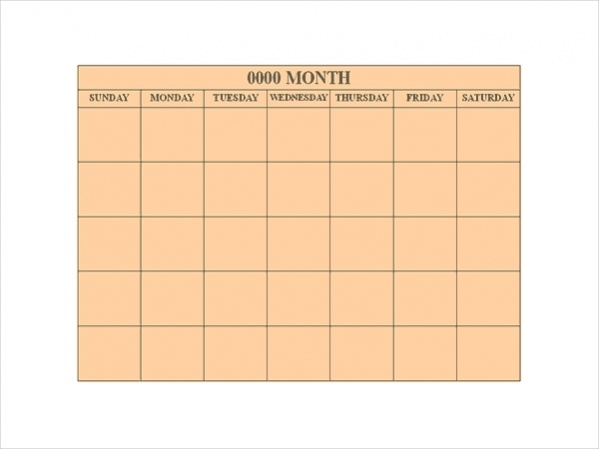 It is a blank calendar and can also be used to write small notes on the left side of the template. 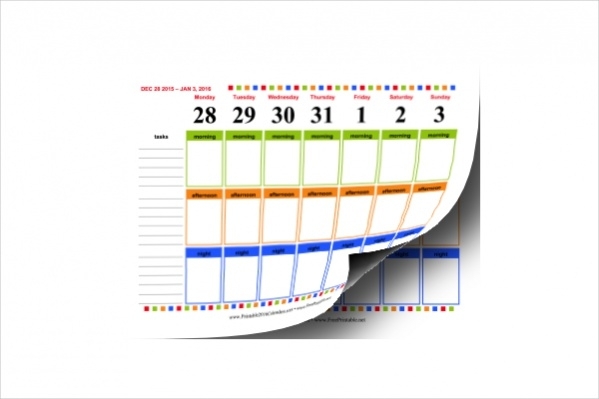 The template can be printed and used as per the wish of the user as this calendar template has no date entered in the calendar. This template is editable and printable by the people. How to use these Free Blank Calendars? 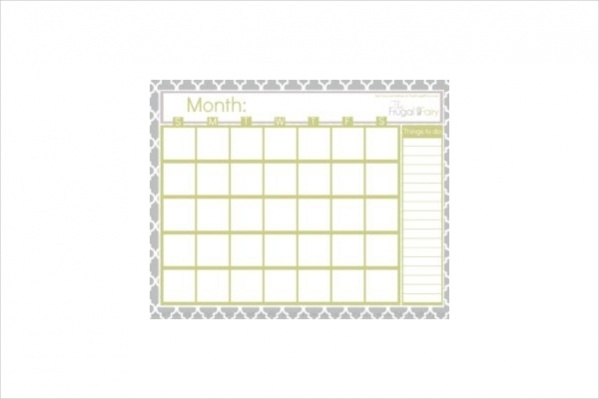 The free blank calendars can be used in many places in daily life. Workout and exercise schedule can be planned by the gym freaks. 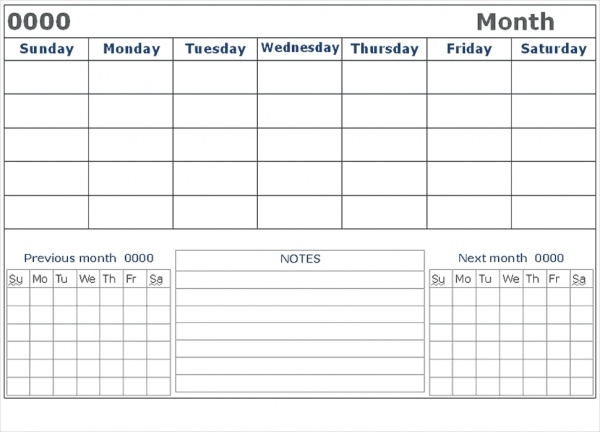 Students can learn to prepare their own timetable to study well. They can keep track of their exam schedules and vacations. Businessmen can have a list of all the meetings that they have for every day in a month. Housewives can use the to-do lists to keep a check on the groceries required or the things to buy. The monochrome designs used in a few templates seem refreshing to the user. 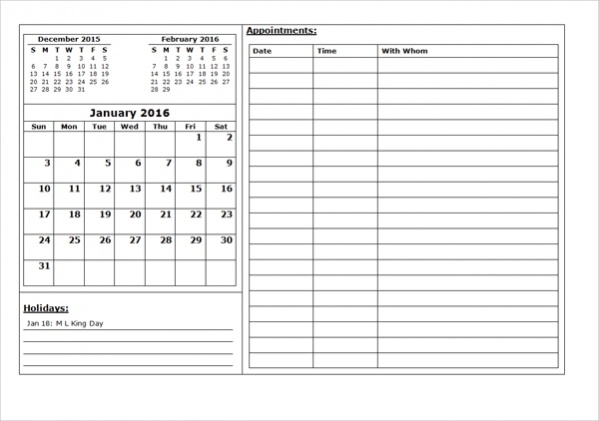 They can be simply downloaded and printed.You may also see Appointment Calendars. These free calendars can be downloaded in any format that is desirable by the users like excel sheet, word document, pdf or an image. The blank templates are easy to use as they can be customized by the user. A single user can find themselves using multiple templates for different purposes.